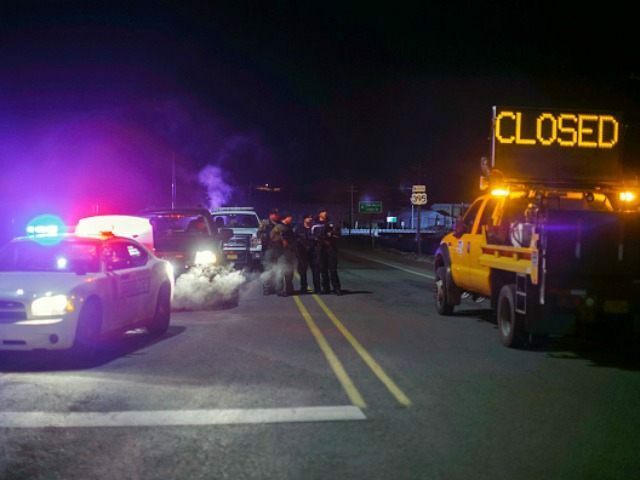 The two-month standoff between Oregon militia members and police came to a violent end in January, with the shooting of militia leader Robert “LaVoy” Finicum by Oregon state troopers. But now the Washington Post reports “new details have emerged” about the controversial conduct of FBI Hostage Rescue Team snipers. The Post article portrays the current state of the investigation as considerably messier than readers casually following the story might have suspected. The five FBI agents have denied firing assault rifles during the incident. But in a recently released interview, an Oregon State Police officer told investigators that he spotted two copper-colored rifle casings near the spot where the FBI agents were standing. The Hostage Rescue Team has used copper- ­colored casings, former agents said; the Oregon state police use only silver-colored casings. The copper casings were never recovered. Meanwhile, the Portland Oregonian reported Tuesday that FBI surveillance video taken after the shooting shows the agents searching the area with flashlights and huddling. One of them then bends over twice and appears to be picking up something. On Wednesday, a law enforcement official confirmed the video account. If allegations of a coverup are determined to be true, the incident would be hugely embarrassing to the FBI and deal a devastating blow to the FBI team’s reputation. The Post cites former Hostage Rescue Team operators saying the behavior in the FBI surveillance video has innocuous explanations, namely that HRT members are trained to search the area of a confrontation for additional threats, such as unexploded ordnance, and they often huddle as seen in the video after a mission. Another video referenced in the story appears to show at least one shot hitting the window of Finicum’s truck while he “stands outside the vehicle with his hands in the air,” and investigators say they believe a second shot was fired, missing the truck entirely. Finicum was then shot dead by the Oregon state police when he appeared to reach for his own gun. “Photographs of the pickup and surveillance video later showed the first bullet had entered the roof at a trajectory that traces back toward the spot where a Hostage Rescue Team operator was positioned,” the Washington Post reports. That’s quite a bit of circumstantial evidence for a scenario that has previously been dismissed as the stuff of conspiracy theories. The WaPo notes that official commentary on the new developments from the FBI and Justice Department is extremely limited, as the investigation remains ongoing. The agents involved in the Oregon encounter are said to remain on the job, but cannot be deployed on missions where they might be required to use their weapons until the investigation is complete. The Oregonian goes into considerable detail about the methods used by investigators to identify and source each shot fired during the confrontation, to back up the conclusion that the round which penetrated the roof of the truck was most likely fired by the FBI Hostage Rescue Team operators. The possibility that FBI agents failed to report their shots, and perhaps even took steps to conceal them, is fueling militia claims that Finicum was assassinated by the government. “It was an ambush… They were looking for a particular outcome, and I think that they got it,” she added.